Learning is merely a component of life, like the limbs of the human body. We can learn a lot from others, but some things in life must be experienced to be truly understood. Below you will find a list of 10 such things, the things we all must figure out for ourselves. you cannot learn any other way. Love – There is no official guide for falling in love, falling out of love, or dealing with the emotional intricacies of love. Love cannot be taught and it certainly cannot be forced. Love is an instinctual feeling, a powerful sentiment, one we will all find under different circumstances and must each figure out for ourselves. Friendship – Some personalities simply click and others clash. Just like love, friendship is a natural process that cannot be forced. Other people can select our acquaintances for us, but over time we will find true friendship on our own. When the conversations are comfortable and relaxed and a mutual feeling of trust is apparent, true friendship has been found. Loss – At some point each one of us will experience a loss in life. It could be the death of a loved one, the devastation of personal belongings, or a vicious rejection in our career. Each of us is going to naturally deal with loss in our own unique manner, some taking more time to reflect on it than others. While suggestions can be made, we must figure it out for ourselves, morn if necessary, and move on when we are ready. The Short vs. Long Catch-22 – There is a paradox found in various situations where we must choose between short-term and long-term fulfillment. It governs the path we take concerning our aspirations, desires, and available opportunities. Things that seem positive in the short-term can turn sour in the long-term. Likewise, disciplined efforts to meet long-term objectives can lead to a more dull short-term existence. People can try to advise us in specific situations, but we must ultimately figure out how to manage this catch-22 for ourselves across the broad scope of our lives. Self-Forgiveness – We all make mistakes. It is an inevitable element of being alive. Since we are undoubtedly our own toughest critic, we sometimes inflict unnecessary self-guilt on our conscious for certain actions we did or did not take. This typically hinders our productivity and happiness. Many self-help instructors attempt to teach self-forgiveness, but every circumstance and individual is slightly different than the next. Experience is the key. General experience in dealing with the process of trial and error across various life circumstances is really what increases our comfort level with making mistakes. Life Balance – Living a healthy, rewarding life involves the simple art of balance. We must balance risk vs. reward, family and friends vs. career goals, quantity vs. quality… the list could continue indefinitely. Over time, and with enough experience, we will be able to evaluate any situation, decipher the boundary extremes and find a happy, healthy medium between these extremes. Responsibility and Independence – Responsibility is not a quality instinctually instilled in all human beings. Some of us have to work really hard at leading a responsible life. The key is to realize that it is okay to assist someone, but the full burden of a responsibility should never be taken away from its owner. If it is, the owner will never learn, thus becoming forever dependant on others. Cause and effect is the ultimate guide to responsibility. “If I don’t get a job, I won’t have money to buy food.” Our success with responsibility will eventually lead to complete independence. Character Identity – “Who am I?” We all have to figure this out for ourselves. Character identity is incredibly difficult to define. We all have ideas in our minds of who we are, who we want to become, or how we want to live. The single greatest gift a human being possesses is free will… our ability to think, make choices, and take action with the decisions we make. These decisions eventually mold the person we are, our character identity. Betrayal – Dealing with betrayal usually sends a person on an emotional rollercoaster ride. There is no practical way of preparing for it because every act of betrayal contains a different set of variables. When it happens, we are usually left asking a series of questions. Why? Is there another side to the story? Can we work through this? These are questions only the people involved can answer and deal with. Happiness and Success – As I stated in my last post, happiness is doing what you love, and success is excelling at doing what you love. Nobody else can tell us how to be happy or what to love. As we progress through life we uncover these mysteries on our own. 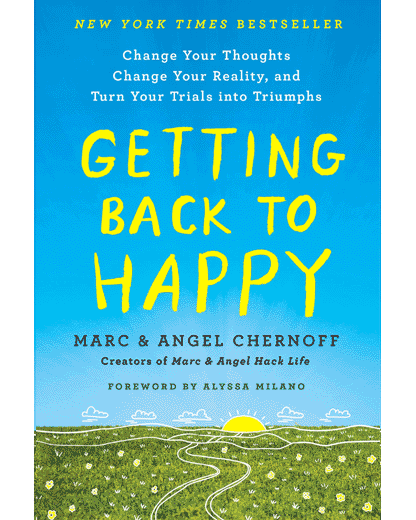 Once we have happiness figured out we can map out a course for achieving our own personalized version of success. Nice post and great blog. I found it using stumble and am adding you to my reader. Excellent Life Rules!! If we can stick to these it will really easy to handle life nicely! This list was better than I expected, but I would add “interdependence” to it. We need to learn both when and how to stand on our own (under “responsibility and independence”) and when and how to lean on others–for many of us, that’s harder to learn. how do you know that humans have free will? Love this list… I would love to read more on this subject. Self-forgiveness? How about ‘deal with it’ or ‘solve your own problems’ instead of encouraging anything but improvement through mistakes? Justin – why not jump straight to solipsism? This article seems to be aimed at a crowd which accepts reality as presented by reality, thanks. How about God? Where is He in the picture? #10 is so true. I think once you find your happiness and then focus on that path, it almost feels like you have life figured out. In other words, a clear goal in the pursuit of happiness. Great article! Great post! Well-written & very true.